Please use the first entrance to our distillery to enter the restaurant. There is a parking lot for guests on the left side of the distillery (facing the building). 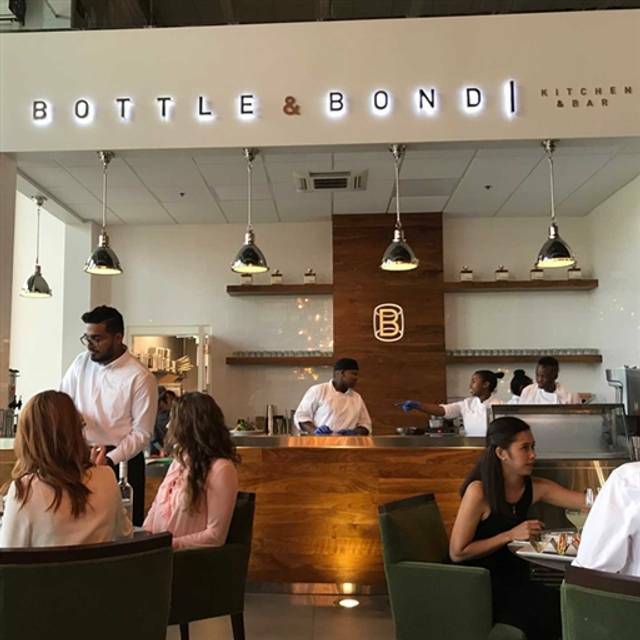 Bottle & Bond Kitchen and Bar is an experience. 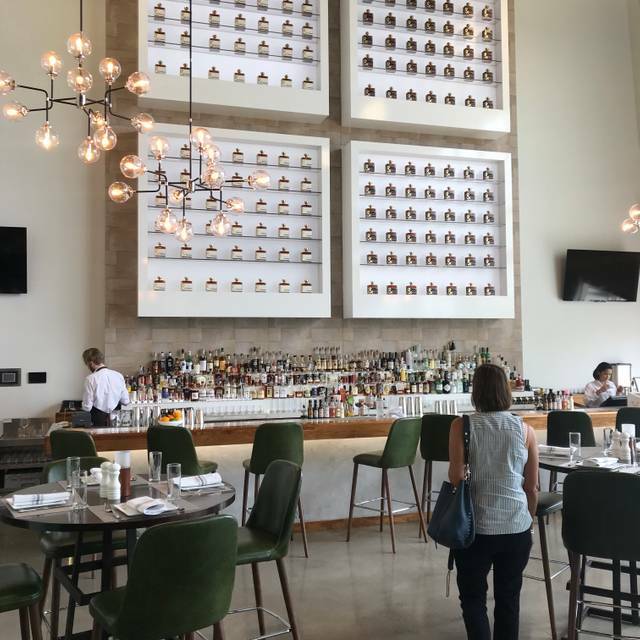 Our scratch kitchen combines seasonal, local ingredients with southern flair. 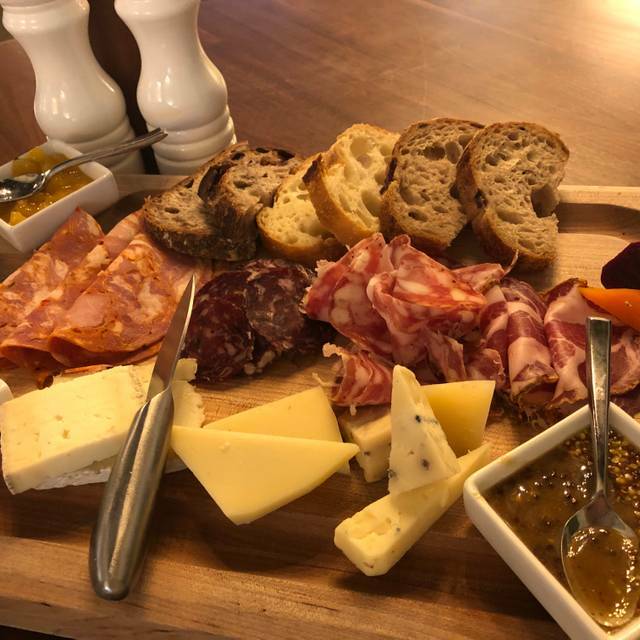 Comfort food, exceptional salads, and farm fresh meats and cheeses combined with our craft cocktail program, one-of-a-kind whiskey and vintage spirits library, curated wine collection and selection of local draft beers, provides the perfect foundation for a memorable afternoon or evening. 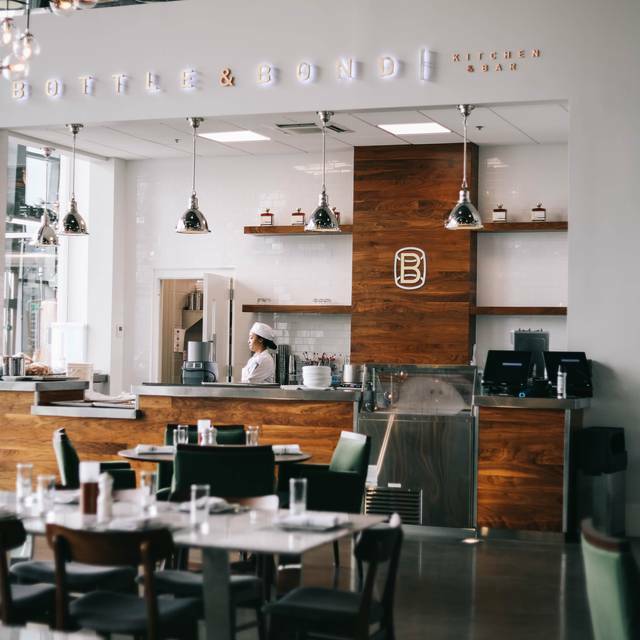 Set on 100 acres of active farmland in the “Bourbon Capital of the World,” Bottle & Bond is located within the Bardstown Bourbon Company - - one of the world’s most modern and technically advanced, new whiskey distilleries. The Bardstown Bourbon Company is a celebration of the art of making whiskey and the community that has helped bring bourbon to the world. The service and quality of the food is outstanding. I cannot believe there is a finer dining experience between Louisville and Lexington. Bourbon selection is fabulous. When the on site hotel is completed why would you stay anywhere else. Try it-you will love it. Not worth it! We ordered salads, entrees and a cocktail. The waitress brought my salmon and my husband's side dishes. We waited thinking his ribs and the salads would be coming soon. No. She had forgotten the order. Had to remind her to get my drink that I could clearly see had been sitting at the bar for 10min. Just not the fabulous experience. Great restaurant in a great location! Made reservations online no problems arrived at designated time was seated right away friendly staff and server great food and drinks surroundings were a bit cold but still all in all great time! We thought the service was outstanding, our server was Sanile, I am not sure I spelled his name correctly. We ordered the Salmon it was ok, definetly have had better, did not care for the sides. Thanks for a great dining experience. The food was wonderful and the service was above average!!! Will highly recommend to friends and will return again soon!!! Very pleasant experience. Great place for friends to gather. We had an amazing dinner. The filet was one of the best steaks I’ve ever had. 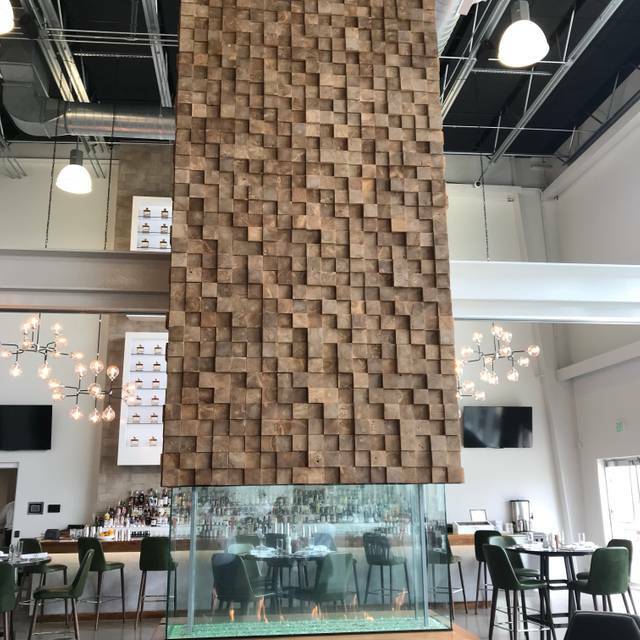 We loved the environment and the service was wonderful! I love coming here with my friends. It’s such a great environment, and the people are wonderful. Bardstown really needing something like this. Restaurant ambiance was great. Loved the fireplace in the center, bar area, nice waiting area, outside fire pits, etc. We were greeted promptly and the hostess was very courteous. Service went down hill from there. When we weren't ready to order seconds after being seated, the server seemed annoyed with us. One item from the food order was missed and meals were brought out at different times. And the food was just so-so. Ribs and Salmon were good. Fried Chicken was not. I would probably try again given other reviews and would provide a qualified recommendation. We volunteer together & get tips for our service. We decided to use our ‘gains’ for an evening out @ B&B Kitchen & Bar. We are very happy with our choice! A little pricey due to the À la cart side dishes. In my opinion I think one should offer at least one side with meal. All in all a great place! Food was great! Outstanding service. Our waitress Emily was great with the kids and went above and beyond with our service. On par with Louisville restaurants in same price point. Happy that we have that option in bardstown. We went for their first Trivia Night, it was great! Great friends, food and drinks! Server was excellent-love the drinks and ambiance! Food and beverage/ per dollar value was ridiculous. My wife totally enjoyed the brussell sprouts, but her hamburger was actually half cooked, but only on one side. Enormous amounts of French Fries, to the point of wasting. My Shrimp and Cheese Grits, while tasty, was far from the best I've ever had. 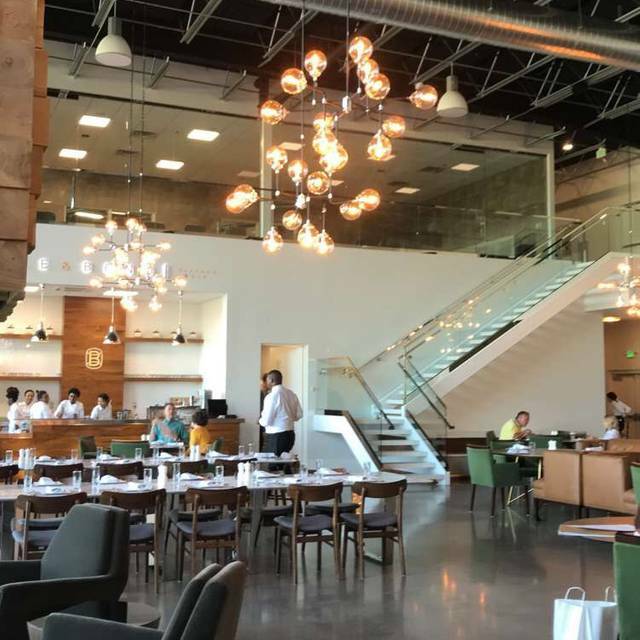 The lunch experience, while not a complete washout, was not, for the money, a big letdown. Fantastic setting and service was polite and gracious. One especially nice touch was the complementary tasting we were offered while we waited for our meals. very nice atmosphere, a little pricey considering portion size. 60.00 lunch, shared a starter and two salads. no drinks...the shareables are for one, not two. I would go back for drinks. Always a wonderful experience! Would highly recommend for lunch, drinks, dinner or all three. Such a lovely place to eat, the service, staff , and food were excellent ! 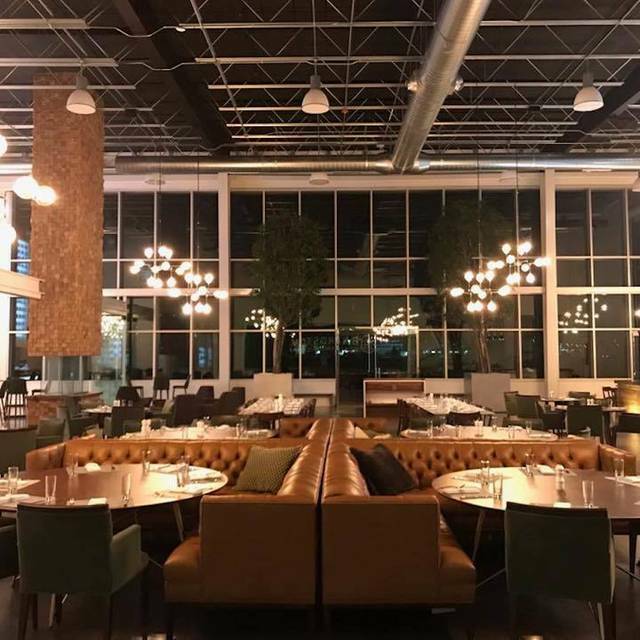 Exceptional ambiance and food. A wonderful dining experience. We decided to eat lunch here while in the Bardstown area. This place did not disappoint. We shared the tuna tartar tacos for an appetizer. These were beyond delicious! Perfect way to start a meal. They weren’t too heavy nor spicy (not a huge spicy fan and wasn’t sure if these would be-trust me, they were not spicy). We then split a hamburger with the cheddar grits for the main entree. Two words: cheddar grits-OMG! These were so good I wanted to lick the dish it was in. 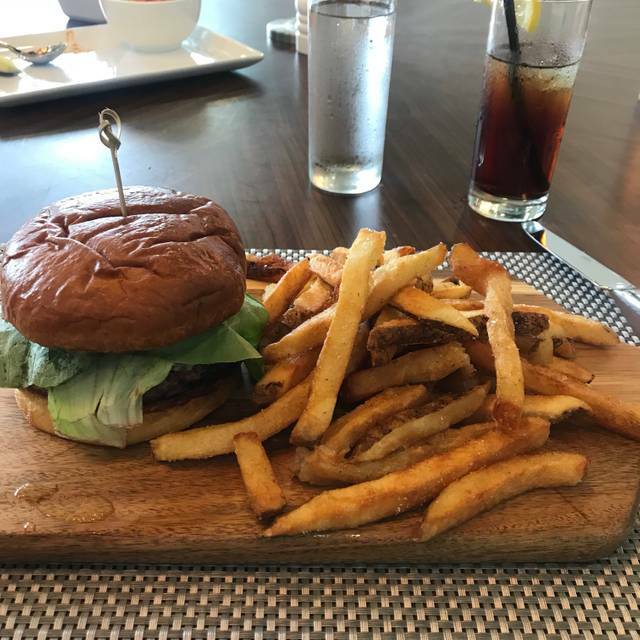 The hamburger was cooked perfectly and the bun was amazing! (I think they make their own buns in house). To finish we chose a boozy milkshake-the banana on...and once again, OMG! Plenty for 2 people and absolutely delicious. A huge bonus of eating here, you could try their 3 bourbons in their tasting room free. Their bourbon was delicious as well. If you’re near the Bardstown area, this area should be an absolute must eat! You will definitely not regret it! So where do you take the boss when he flies into Kentucky for the first time? Bottle & Bond, that’s where! We arrived a little early for our 11:30 reservation giving us some time to look around. What a huge building! We sat at the bar and chatted with a delightful bartender that is also working to become a dentist. I thought a new a few things about bourbon, being a Kentucky boy, but managed to learn even more as we talked. She was friendly, knowledgeable, and a joy to be around. Because of her, we decided to move to a bar table for our lunch and she continued serving us. We all ordered the brisket sandwich which was amazing, but started with the grilled cheese and Shrimp and Grits appetizers. All I can say is both of these made me want to slap my momma because they were so good! We finished things off with a beautiful bourbon bread pudding as we indulged in a few select bourbons. Count me in a a definite returning customer! The decor was interesting large see through fireplace was a nice touch. The music choice and volume was a bit over the top somewhere between a hipster bar and nightclub. The food was excellent, although menu choice was limited this is the type of place that’s perfected a small menu and it shows in the quality and presentation. We had the Brussel sprouts, a NY strip which was cooked to perfection medium rare through the entire steak not just in the center. The brisket was excellent better than any other restaurant in the state. Prices were a bit high but, the quality of the locally grown ingredients shows. This is by no means a cheap dinner date but for a special occasion we will definitely be back. The barrel aged old fashion was hands down the best I’ve had it’s worth a visit simply for them, I’m sort of a snob when it comes to my drinks but this one was out of this world. Presentation was simple it wasn’t muttled with nonsense or extra fruit, the bar manager actually came out to discuss them with us after sending out compliments with our server. The service was excellent even though it was a busy Saturday night. This place has found a niche for us the spirits list is nearly a book, they have a few specialty drinks and they’ve definitely taken time to perfect them. We will definitely be back! We ate dinner at this restaurant as recommended on google and by a local distillery. I made a reservation 4 days prior to our planned date. We heard the place was fun to hang out, so we arrived an hour before our reservation. We sat outside the bar next to a big fireplace and had some great cocktails. The cocktail list was very impressive and amazing bourbon list, I loved the house old fashioned. A few cocktails included high end bourbon ended up at the $28 price point, a little much for my taste. The building is BEAUTIFUL and you can tell the company has put time and $ into it. Big beautiful glass walls at the front and a large, live moss wall at the back. The sharable plates were delicious and affordable. 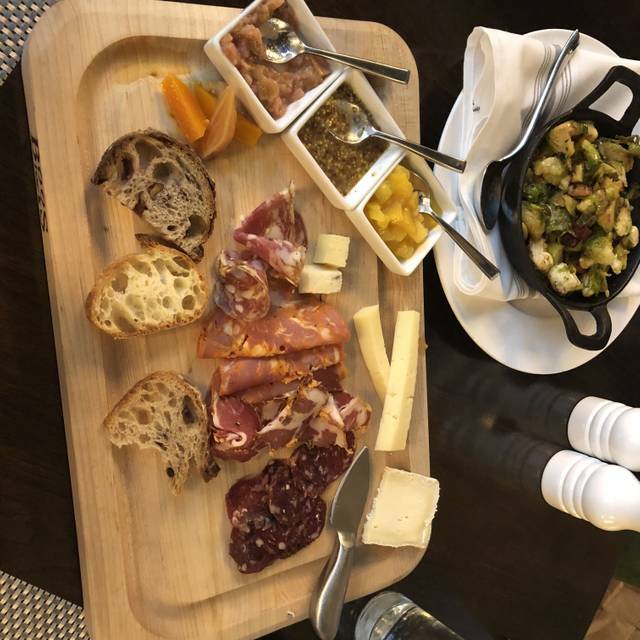 We ordered the brussel sprouts, gnocci and shrimp and grits - all were outstanding - the gnocci brown butter sauce was out of this world. We ordered house salads and finished with boozy milkshakes - outstanding and delicious - definitely worth the calories. I highly recommend this restaurant for their great food and really outstanding service. One of the best steaks we have had in a long time! Very Good experience, the service was top notch and the food was great. Atmosphere is the best. I think the restaurant itself is great I would definitely go back, my friends ans I all enjoyed the food I just wish there was another side with the foods for the price, even my friend wasn't happy with the small amount of broccoli she received with her salmon, the cornbread was absolutely to die for though. I would probably go back. It was an unexpected and pleasant surprise to learn that the meal came with a complimentary bourbon tasting. The restaurant itself was very nice and open, but also casual-feeling enough that you could go in jeans and not feel out of place. The bar area was also very nice and open. The menu is limited, especially on vegetarian options, but the food was excellent. Highly recommend. Khandi, our server, was amazing. This is a great place to dine....and drink. Very happy this has been a consistently great option so close to home. Shrimp and grits appetizer, fried chicken, grilled salmon, and cobbler were all very good. Can’t wait to try other menu options. Highly recommend! Great for lunch we had. Our food was very good and our service was excellent. Danielle did a great job as our waiter. My only negative comment would be that I think the menu should be expanded to Include other choices or specials. You'll spend a bit more than most places in the area but it's also unlike anywhere in the area. Great for conversation over great cuisine. Nothing distracting you from the company you are with. The building is beautiful and the food was delicious. Took a little while for both drinks and food to arrive, but it was worth the wait. Bottled and Bond never disappoints! The new cocktail menu is divine. I had The Wabbit and I would highly recommend it to anyone! Is very noisy. Decor is very nice. Are server was wonderful and the food extremely good. It is very pricey.